Neat game, I love CYOA! My favorite part was reading through all the tombstone writings, good stuff! 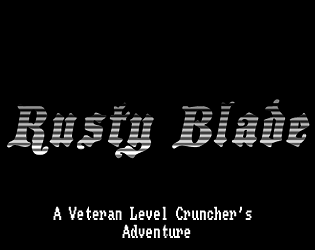 I was hoping that there would be multiple versions of Rusty Blade so I could see where others took the concept. This is well done. 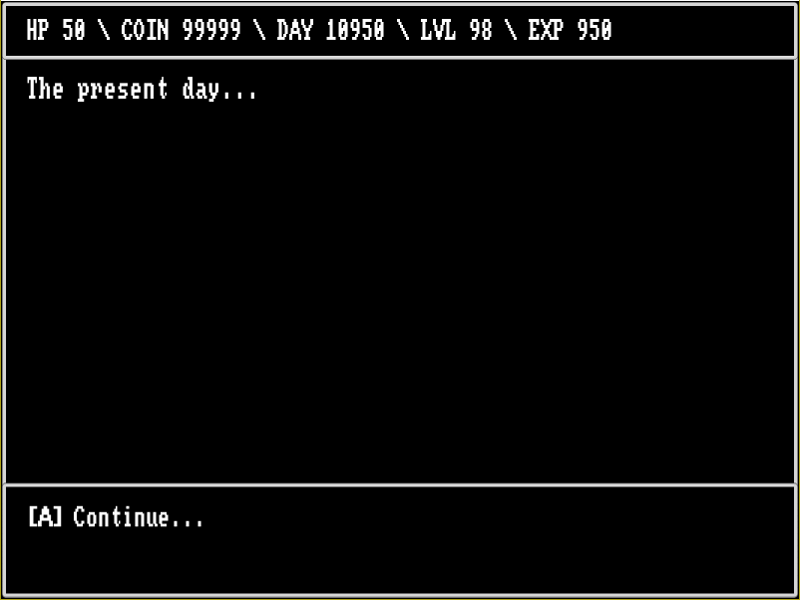 You did a great job of creating engaging RPG gameplay with just 2 buttons. There are no menus to navigate through, and no world maps to traverse -- either of which would have taken away from the experience in this case. 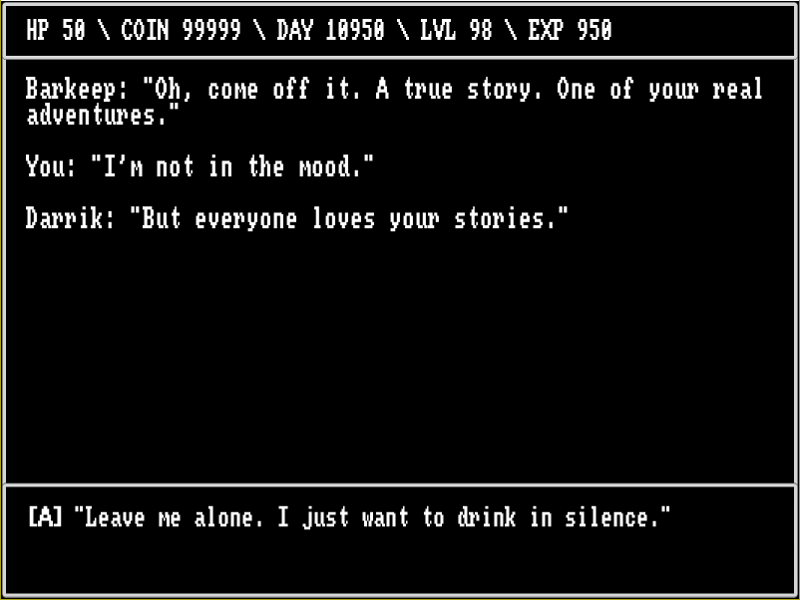 Instead, everything is distilled into binary choices, and the game is able to get its point across quickly. Nice work!